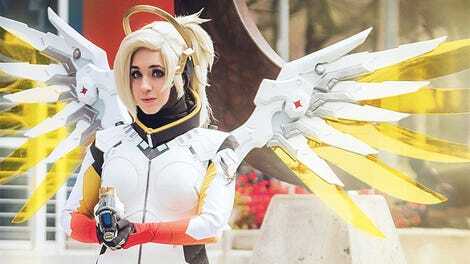 Rather than just standing around lookin’ sharp, these Overwatch cosplayers have gone to the trouble of creating their own little action-packed movie, which plays out kinda like Widowmaker’s official short, only with actual humans. UPDATE - For some reason, the video keeps disappearing off the internet, both on YouTube and Facebook. We’ll get a copy back in as soon as it’s online.